Beginning and maintaining a Medication Assisted Treatment Program in a Primary Care setting requires a number of culture changes and considerations. What culture do you plan to have in your setting? Patients who struggle with an opiate use disorder are part of the fabric of chronic disease states that have been addressed in a primary care setting. However, it is typically not being done in a purposeful and open manner. What does your staff understand about addictions? What is their viewpoint on treating patients with a SUD disorder? How does the staff talk and view patients with a SUD? Is it seen as a chronic disease or as the fault of the patient? Are you providing MAT in an integrated care setting with the support of behavioral health? What model of treatment is the program going to use? Harm Reduction? Abstinence? 12 Step Program Required? These are just a few of the topics that will be explored and discussed. This plenary session will include a discussion of where health centers are headed, to not only survive, but thrive as we shift from a fee-for-service to a value-based payment system. The challenges of taking on more Behavioral Health/SUD/OUD visits and Caring for the Care Team will be addressed, as will the goal of providing high quality care while decreasing costs or generating revenue for sustainability. 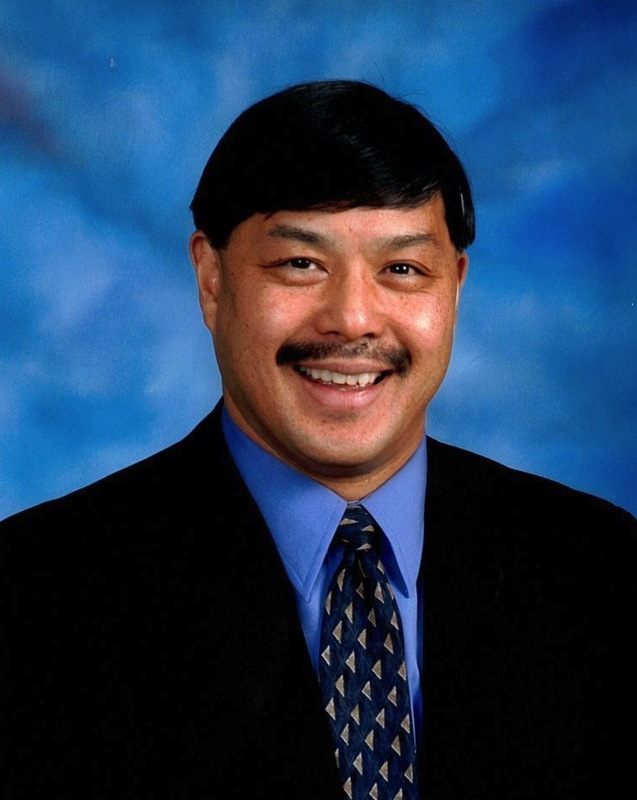 Ron Yee, MD, MBA, FAAFP. Dr. Yee received his medical degree from Oral Roberts University School of Medicine and completed his Family Practice residency and Chief Resident position through UC San Francisco, Fresno, CA. Ron was employed by United Health Centers in Parlier, California, an eight-site Community-Migrant health center for over two decades. He obtained his MBA from Golden Gate University, San Francisco. Dr. Yee achieved the distinguished Degree of Fellow of the American Academy of Family Physicians in 2010. He served as faculty and team coach for two BPHC Patient Visit Redesign Collaboratives and two Institute of Healthcare Improvement (IHI) Redesign-Finance Collaboratives. 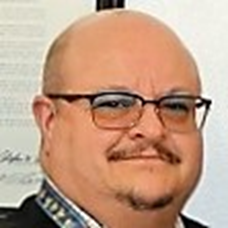 Ron is a graduate of the National Association of Community Health Centers (NACHC) EXCELL Leadership Program, served on the NACHC board and was elected to the Executive Committee as Treasurer. He was a member of the National Advisory Council for the National Health Service Corps. Through his 20-year health center service Dr. Yee has developed a passion for patient care and communicates a unique blend of clinical practice style efficiency, care team focus, practical financial applications and organizational transformation. Tanya Pagán Raggio Ashley, MD MPH FAAP is a senior medical officer (SMO) at the U.S. Department of Health and Human Services, Health Resources and Services Administration (HRSA), Office of Regional Operations. Previous positions include HRSA’s Chief Medical Officer, Director of the Officer of Minority Health and Health Disparities, Division Director of Medicine and Dentistry and Maternal and Child Health Bureau SMO. Quality of health care, improving health outcomes for ALL PERSONS has always been part of her professional career. As a HRSA consultant, her efforts contributed significantly to increase capacity and funding of community, migrant and rural, health care for the homeless, school-based health centers, Ryan White programs including the development of the Minority AETC. Dr. Raggio is board certified in pediatrics and preventive medicine. She completed a BS at Rutgers University Livingston College, MD at Rutgers Medical School, pediatric residency at Montefiore Hospital and Medical Center, a cardiovascular epidemiology fellowship and MPH at the University of Pittsburgh Graduate School of Public Health. Her major area of focus was Maternal and Child Health, researching the association of Cardiovascular and Perinatal Risk Factors in African American and Latina Women of Childbearing Age in order to decrease maternal and infant morbidity and mortality. She was also part of the research team working on the clinical trials of Statins, conducted research on Diabetes and women who died of sudden cardiac death in Allegheny County Pennsylvania. Dr. Raggio has served on numerous national health and health professional committees, conducted and received numerous awards. 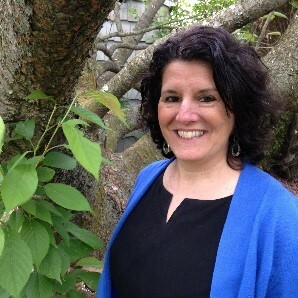 Dr. Raggio resides in Teaneck NJ with her husband Rev. Dr. Willard W.C. Ashley, Senior Vice President of the New Brunswick Theological Seminary and Serafina, her Emotional Support Animal who is a certified AKC therapy dog. She wants to say thank you for all the hard work you do to improve the quality of life and create health equity for ALL PERSONS who come through your doors. 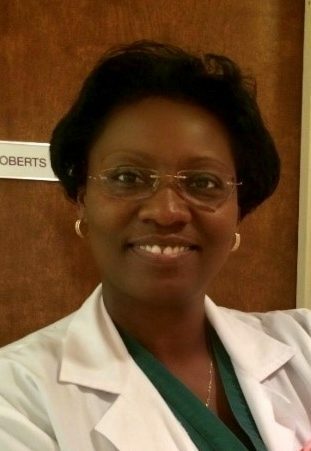 Norma Milanes Roberts, MD, FACOG is a Board-Certified Obstetrics and Gynecology physician, with specialization in Infertility and Cervical Diseases. 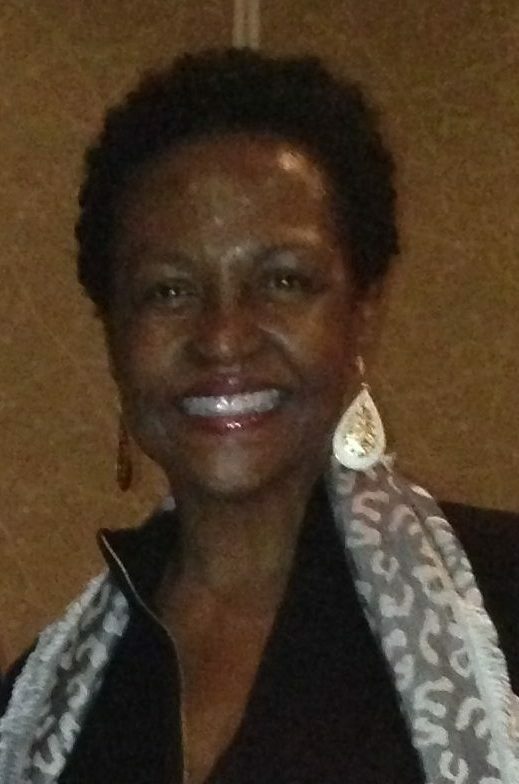 She is currently the Medical Director at the Newark Department of Health and Community Wellness-Mary Eliza Mahoney Health Center since October 2018. She is an active member of the Medical Staff at Newark Beth Israel Medical Center, member of the Medical Staff Board and remains active in the Resident Training and Education Program since 2002. Her career in the FQHC arena started in 2005 when she joined NCHC as a staff physician. A year later was elected to be their Clinical Director. Dr. Roberts has managed over 22 providers at 11 sites, changed policies to improve continuity of care, proper allocation of resources, training for providers and support staff alike in order to elevate the quality of care offered. In addition, she has put practices in place aimed to increase postpartum return rates to unprecedented levels across the sites by establishing the “immediate postpartum return” visit in 2015; a concept adopted by the American College of Obstetrics and Gynecology in October of 2016. In October 2018, she took on the responsibilities of Medical Director at the DHCW/MEMHC. In the short time she has been at the center she has restructured working hours for all Departments to allow easier access to patients. 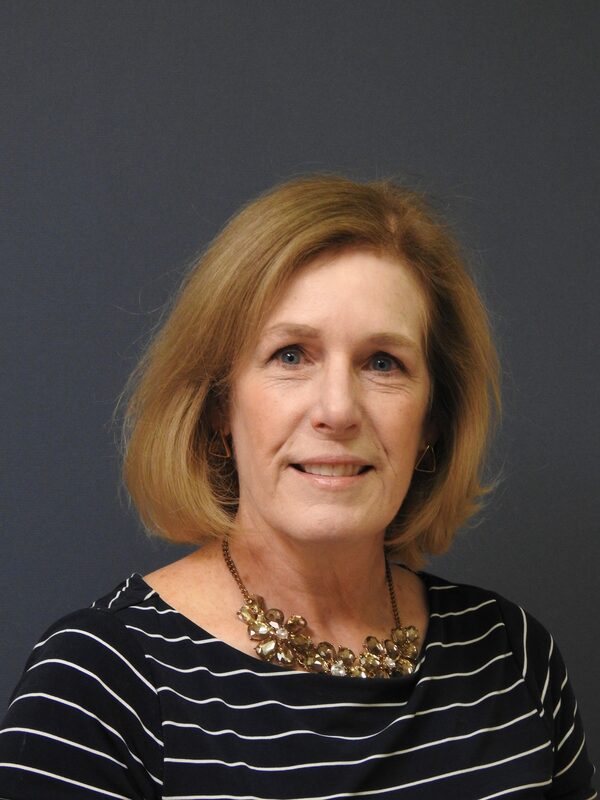 She guided the relocation of all Primary Care Services under one location to promote a patient centered medical approach and started the OBGYN Program, at the MEMHC, the first such program since the center’s inception as a FQHC 6 years ago. Speaker: Carol Laws-Krause R.N., C.D.E. (Registered Nurse, Certified Diabetes Educator) Senior Medical Liaison New Jersey Novo Nordisk Inc.
Carol Laws-Krause is a Registered Professional Nurse currently licensed in the State of New Jersey. Ms. Laws-Krause began her focus in diabetes in 1987 with a grant from the state of New Jersey to identify African Americans and Latino residents at risk for diabetes and hypertension in inner city Trenton at Henry J. Austin Health Center. Additionally, in 1988 she completed the educational and training requirements to take the exam for expertise in diabetes, administered through the National Certification Board of Diabetes Educators (NCBDE) for the American Association of Diabetes Educators (AADE). Each candidate must retake the exam every five years. Ms. Laws-Krause has successfully completed the CDE exam every five years since 1988. Since 1990 Ms. Laws- Krause has worked in the health care industry for Novo Nordisk Inc., with a sole educational focus related to the management of the disease state of diabetes and recently cardiovascular disease. Ms. Laws-Krause has presented to professional audiences to support the clinical efforts in improving diabetes care to communities. Insulin Resistance to Type 2 Diabetes Complications: Within context of guideline-driven, evidence-based medicine, participants will understand the continuum of chronic disease triggered by abnormal glucose; its impact to patient outcomes and healthcare costs in the absence of early intervention and management; and tools that may be utilized to implement intervention and management strategies. 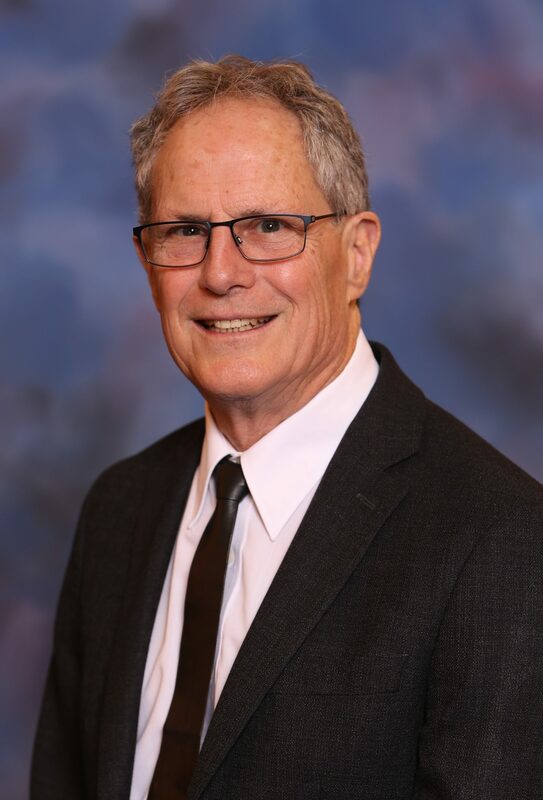 Donald Walt Chandler was one of the founders of Endocrine Sciences, and is now a Laboratory Director at Endocrine Sciences/LabCorp in Calabasas, CA. Dr. Chandler has been involved in assay development and validation from the early days of RIA through the transition to immunochemiluminescent tests and high pressure liquid chromatography with tandem mass spectrometric detection. He was also instrumental in the development of free and bioavailable hormone tests. Dr. Chandler was an author on 34 peer-reviewed publications and holds 2 patents. He has presented a number of meeting posters and oral presentations. Academic interests include methods for biomarker measurements, clinical utility of testing, and accuracy of hormone tests. Professionally Dr. Chandler has served as a LabCorp Vice President as well as a Discipline Director and Laboratory Director. Volunteer work in the endocrine field includes the Partnership for the Accurate Testing of Hormones (PATH) of the Endocrine Society, CLSI guidance author, and service on the Pediatric Endocrine society Obesity and Education committees. Dr. Chandler received his undergraduate degree in chemistry and PhD in biochemistry from UCLA. 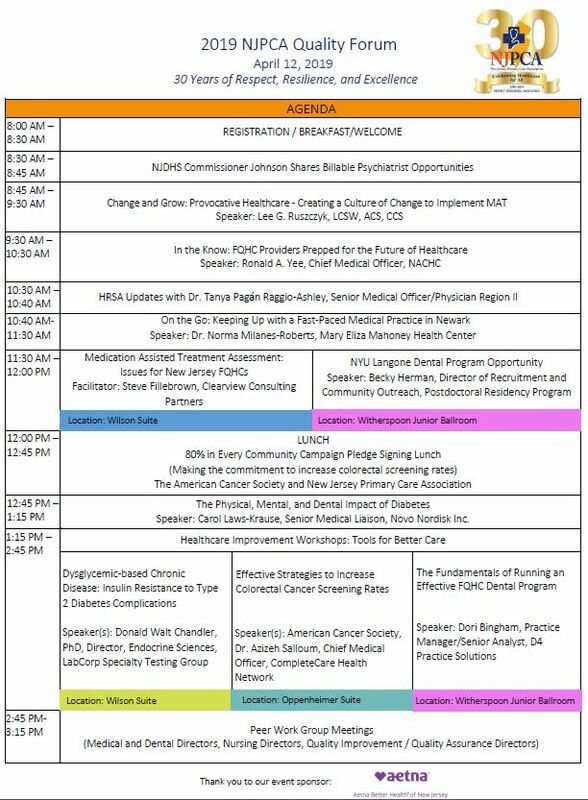 Representatives from the American Cancer Society will provide attendees with comprehensive strategies to increase Colorectal Cancer screening rates. Attendees will be given the opportunity to hear directly from a Colorectal Cancer survivor and exchange lessons learned and promising practices with one another. Christina Faber is the Senior Director of Primary Care Systems at the American Cancer Society, leading a team of eight in the Northeast Region who work with FQHCs to increase cancer screenings and improve healthy eating and active living with the goal of reducing health disparities in underserved communities. A Registered Dietitian, Ms. Faber began her work with the American Cancer Society as a volunteer after she lost her sister to breast cancer at the age of 37. Through her sister’s cancer journey, she became familiar with the American Cancer Society’s program and services and became passionate about helping with the ACS mission of saving lives, celebrating lives and creating a world free from cancer. A graduate of Cornell University with a Bachelor of Science degree in Clinical Nutrition, she went on to earn a Master of Science degree from New York University and completed a Dietetic Internship in Clinical Nutrition at Rutgers University. 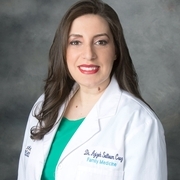 Azizeh J. Salloum, MD, MPH, Chief Medical Officer: Azizeh J. Salloum, MD, MPH has been a primary care doctor at CompleteCare Health Network since 2012, seeing patients at locations throughout Cumberland County. Dr. Salloum became Interim Chief Medical Officer at CompleteCare Health Network in July 2017 and accepted the position as Chief Medical Officer for the organization in December 2017. Despite taking on the full-time role as chief medical officer, Dr. Salloum continues to see patients at CompleteCare’s Medical and Dental Professionals location in Millville a few days each week. Azizeh received her Bachelor of Science in Biology at Bucknell University in Lewisburg, PA, her Master of Public Health from Drexel University School of Public Health in Philadelphia, PA, and her Doctor of Medicine from Ross University School of Medicine in Portsmouth, Dominica. She completed her residency in Family Medicine at Underwood-Memorial Hospital in Woodbury, NJ, now Inspira Health Network. As CompleteCare’s CMO, Dr. Salloum is responsible for the hiring and oversight of all providers, including doctor and nurse practitioner staff. She is a member of the Executive Team, Rapid Response, Fresh Start, and Performance Improvement Teams and works closely with her team of associate medical directors to ensure that CompleteCare patients are receiving the highest quality care. This session will cover a range of topics designed to help health center dental programs maximize provider productivity, access and revenue while minimizing chaos and unpredictability. Topics to be covered include benchmarks, goal setting, scheduling, management of emergencies and broken appointments, strategies for maximizing productivity, effective revenue cycle management and creation of strategic and compliant fee schedule/sliding fee scales. The goal is a dental program that meets or exceeds HRSA productivity expectations, operates in a financially sustainable manner and provides a rewarding environment of care to both patients and staff. This session is the first in a three-part series entitled “Building the Foundation for Change,” which is designed to educate, empower and enable New Jersey health center dental programs to create a strong and stable foundation for a transition from traditional fee-for-service reimbursement to oral health value-based care.